You probably serve your country wearing the uniform of one of the branches of the US military. You know you’re taking a risk in this endeavor but you did not know about something that would cause you tremendous pain and discomfort without ever going overseas and facing combat: Toenail fungus! Toenail fungus is ugly, uncomfortable and painful to deal with under the best of circumstances. It is much worse when you are serving in the army. Unfortunately, soldiers are more prone to this condition than people in civilian life for many reasons. Read on to learn why soldiers are especially prone to toenail fungus and how you can treat it efficiently and keep it at bay so painful toes don’t interfere with your service. One of the main reasons is that soldiers wear combat boots on a daily basis and their dress boots on special occasions. These boots are heavy, close fitting, not very breathable and are worn more hours per day than not. When the soldier rises in the morning, the boots go on and do not come off until shortly before going to bed for the night. Feet that are enclosed in such footwear for such long periods of time sweat, get warm and remain so for most of each day. This provides a perfect breeding ground for toenail fungus. To complicate matters, when the boots are off, there is not sufficient time for the boots to dry and fungus spores to die off. These conditions make contracting toenail fungus all but certain. Because of the training required in the military a soldier spends long hours unable to adequately tend to foot hygiene. There is not time at the beginning of the day nor at the end of the day to adequately take care of your feet. There is barely enough time for a quick shower, a few hours sleep, and the training begins again. During some training exercises, soldiers may be in the field for days at a time without the luxury of being able to remove their boots. Soldiers who had not already contracted toenail fungus will very likely do so during such exercises. A soldier must be able to wear every bit of wearable military equipment and boots are considered equipment. When a soldier has toenail fungus, wearing either boots or dress shoes is nearly impossible because of the pain. No matter how proud they may be to do so, soldiers cannot perform their duties very well when their feet are in such pain that it is difficult to walk. Toenail fungus causes nails to become thick and yellow, brittle, and with time they smell really bad. This condition is extremely uncomfortable. If you’re in the military and have toenail fungus or want to prevent getting it, you need to know of something simple and quick that you can do to cure it or reduce the chances of toenail fungus becoming a problem. 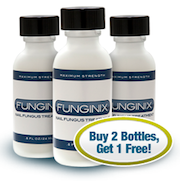 Of course, you will want to know of the best topical treatment available. 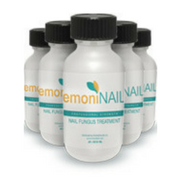 One that has no side effects and is highly rated is EmoniNail. It is an over the counter remedy, which is much less expensive and risky than prescription medications. With the little time soldiers have to care for toenail fungus, this remedy is an ideal option. To avoid getting reinfected, treating the toenail fungus with a topical medication is best accompanied by a method of treating the boots so they dry quicker and the growth and spread of the fungus is kept in check. This can be accomplished with little cost by using the very common kitchen item, baking soda. Put some in your footlocker and each night when you remove your boots, sprinkle the inside with the baking soda. It will absorb moisture, retard the growth of fungus and keep it from spreading. if you haven’t enlisted in the military yet, now is the time to make sure you are free of toenail fungus. It may come as a surprise to many people but potential soldiers who show up for the one or two days of medical evaluations at a MEPS in order to enlist in the military find out the hard way that toenail fungus can keep them out of the military. You may wonder why this would be so. It is really quite simple as has been discussed above, soldiers must be able to wear every piece of equipment and this includes boots. 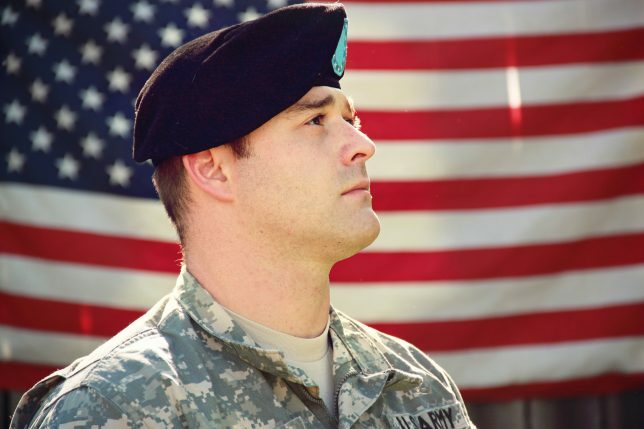 Toenail fungus is one of several conditions that can disqualify a person from serving in the military. This does not mean that you can never enlist in the military. It simply means you need to learn how to prevent toenail fungus from getting started and how to treat it should you end up with a fungal infection. Before enlisting is the best time to learn the quickest and easiest methods to maintain good foot hygiene as well as how to prevent and cure fungal infection affecting your toenails. Getting into the habit of caring for your feet easily and quickly when you have little time for it now will save a lot of problems and pain later. The first is to give your toenails a quick examination regularly so you can apply a topical remedy for toenail fungus at the first sign. The second is to use baking soda in your boots every time you take them off so your boots are less likely to build up fungus that could infect your toenails. You want to be able to wear your uniform with pride. You don’t want painful toes interfering with your service. When you know which topical treatment to use and how to treat your boots so that fungus cannot grow and spread, serving as a soldier becomes much easier. Soldiers are trained to keep every bit of their equipment in top shape. In a way, you can consider your feet as military equipment, so learning how to keep your feet in top shape will help you be the best soldier you can be. The best topical toenail fungus remedy and the box of baking soda may well become part of your standard equipment.